We are excited to announce the launch of a new website, dedicated to A Powerful Team- How CEOs and their HR Leaders are Transforming Organizations! The new website contains information about the book, authors, and details on how to purchase a copy, as well as the abililty to read additional chapters not included in the book. Scott Rosen, David Pinette and John Touey are continuing to interview additional CEOs and their HR Leaders. We will share these new chapters on the website as they are completed. You can also contact us through the website if you are interested in learning more about the book, or are interested in having your company and story included in one of the new chapters. A Powerful Team is a great addition to the business library of any leader looking to enhance company results by better leveraging their human capital. 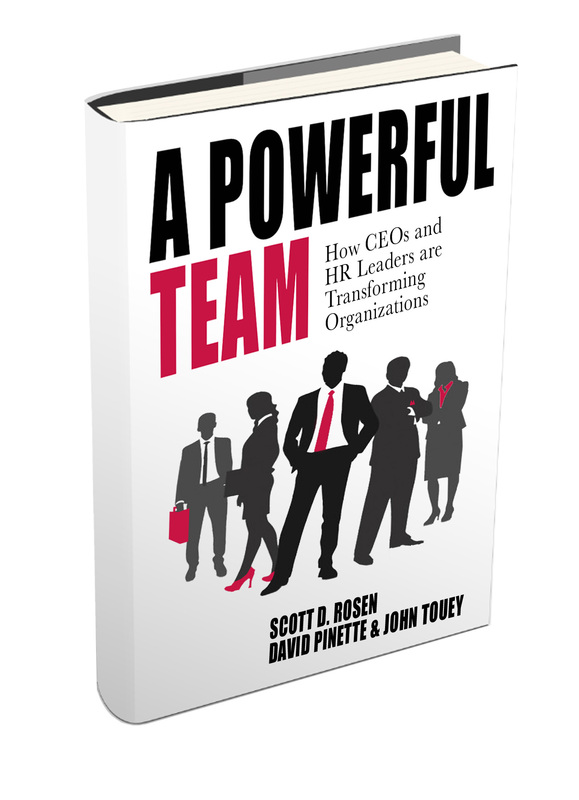 To learn more about the book or to purchase a copy of A Powerful Team- How CEOs and their HR Leaders are Transforming Organizations click here. Business Continues to Boom at The Rosen Group- Check Out These Great Openings!